These two foods are certainly a dynamic duo for a dietitian. In America, oats are one of the most beloved whole grains and dried fruits, such as raisins (when there isn’t extra sugar added) are a terrific, nutrient dense ingredient which pair well with so many other foods (think nuts, whole grains, fresh fruits, veggies, the list goes on.) My personal favorite? Those gorgeous amber colored golden raisins. I’ve had this oatmeal bread recipe for ages, given to me by my grandmother – who probably got from a magazine decades ago. I tweaked it by adding in white whole wheat flour and ground flax for some extra fiber and for sweetness, tossed in the golden raisins, too. 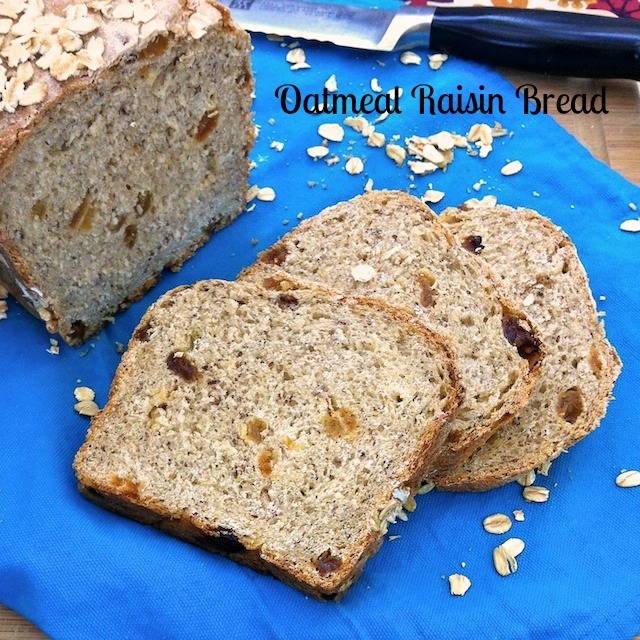 Jump into bread baking with this homemade oatmeal raisin bread! Delicious for breakfast toast or your favorite sandwich. In a small bowl, mix together boiling water and oats. Set aside and let cool for 15 minutes. In a large mixing bowl, combine, yeast, warm water and 1 tablespoon honey. Let sit 10 minutes until yeast is frothy. Add in the oat mixture, the remaining 3 tablespoons honey, salt, 1 cup all-purpose flour, 1 cup whole wheat flour and ground flax. If using a stand mixer, use dough hook to mix dough. Otherwise, mix thoroughly by hand. Add in remaining 1/2 – 3/4 cup flour to form a soft dough. Mix in raisins. Knead with dough hook or by hand on a floured surface for 5 minutes. Roll into a ball and put in a greased bowl. Cover and let sit in warm place for 1 hour. Punch down down and shape into a bread loaf. Place into a 8 x 4 x 2-in coated loaf pan. Cover and let rise for 45 – 60 more minutes. Spray top of loaf with cooking spray and sprinkle on 2 tablespoons of oats. Bake in oven for 50 – 55 minutes, until golden brown. Let cool on rack in pan for 10 minutes, turn out and cool completely before slicing. Here are more tempting oat & raisin recipes for your reading and cooking pleasure! Ooh, I never thought of the cinnamon sugar sprinkle – gonna do that right now for a snack! Gorgeous looking bread! I love the combination of red and golden raisins. Great choice for improv. Thanks Lesa – I always enjoy your Improv recipes – super creative this month! This bread sounds right up my alley! I like whole wheat and flax in my quick breads, but have not tried flax in yeast bread. I thought about using golden raisins in my scones, but I wanted to use up the open box of regualr raisins. I’m glad you did scones – one of my favorite things to bake! 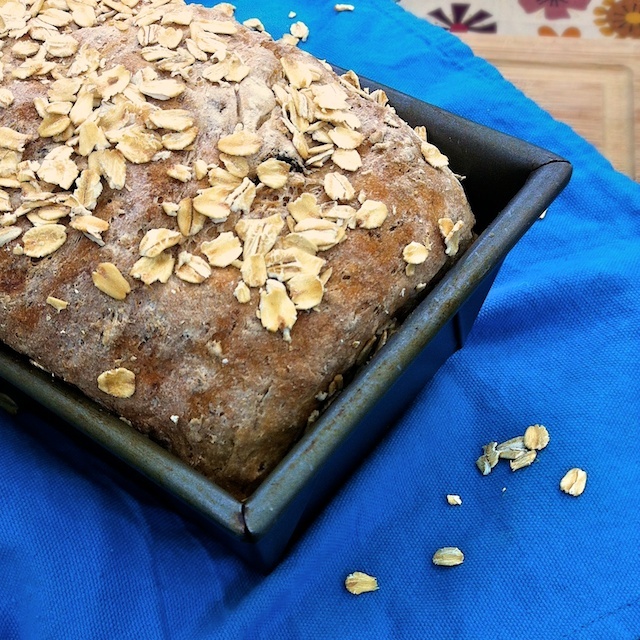 Mmmmmm…..I adore honey oat bread…and love that you added flax seed! Beautifully done! Thanks Liz – loving your oatmeal raisin decadent cookies! I love the rustic bread look with the oats on top. Ha! Great minds really do think alike! Love the oatmeal on top of the bread! This must have smelled wonderful as it was baking…such a great looking loaf of bread! I love making homemade breads. Your bread looks amazing and sounds delicious. Those are such beautiful slices of bread. I can just imagine them toasted with a dab of butter! This looks absolutely delightful, Deanna! I’m so glad you did the challenge as well; I’m an absolute sucker for oat toppings. 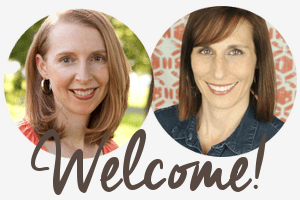 Thanks Ala – I need to check out your blog – LOVE the name!! Made this tonight, and while I scanned the comments, nothing but great comments from everyone (I wonder if they actually tried making the recipe? ), I found the bread too dense and hard to knead (with a dough mixer). Added a dash of water.. It became sticky… added flour and mixed again, by then the raisins that I put in on the second round had been smashed (adding to the stickiness).. Well, who knows, it will go into the oven soon, and if the taste is great, I will comment again. Loretta – Hmmm – made it with a dough mixer too and had decent results but I find with any bread recipe, that sometimes I need to add a little more water and other times I need to add a little more flour as the temperature of your home, humidity, etc. all comes into play with bread baking. Please let me know the outcome -thanks for visiting. Clearly you are a bread lover 🙂 Thanks for checking in and let me know if you make it!